This article was last updated Aug 15, 2018, but some terms and conditions may have changed or are no longer available. For the most accurate and up to date information please consult the terms and conditions found on the issuer website. The Citi® Secured Mastercard® is a $0 annual fee secured card that provides cardholders the opportunity to build credit when used responsibly. This card is just OK when compared to other secured cards, given you won’t earn any rewards or receive substantial perks. Although that means you can focus solely on building credit, it can be a drawback if you’re looking for a secured card with rewards or above-average benefits. If that’s the case, check out other secured card options. This card offers a high credit limit range of $200-$2,500. But remember that this is a secured card, so your credit limit is equal to your security deposit. That means if you want a $2,500 credit limit you will have to deposit $2,500, which is no small feat, though it does give you the ability to have a high credit limit if desired. The Citi® Secured Mastercard® is very basic and lacks additional card perks that some other secured cards have like rewards, added insurances, travel assistance, no foreign transaction fees and more. Therefore, this card is less appealing compared to competitors that have similar terms plus the added benefits of rewards and other noteworthy features. Unfortunately, the Citi® Secured Mastercard® doesn’t come with any additional card benefits besides those that are standard to credit cards such as identity theft solutions, $0 liability on unauthorized charges and your free credit score. You can see the most benefit from the Citi® Secured Mastercard® when you follow proper credit behavior. An important factor in managing your card is to pay each statement on time and in full. That means you shouldn’t only pay the minimum due or carry a balance, because that will incur fees and paying late also results in a penalty APR, not to mention potentially damage your credit. Paying in full and on time saves you money and helps your credit score. Another important practice is to keep a low utilization rate — that’s the amount of your available credit you use. The less you use of your available credit, the better, but a good rule of thumb is to keep your credit utilization rate around 20%. For example, if you have a $400 credit limit, try to spend less than $80 before paying off your balance. Citi also provides credit and financial management resources at their Credit Knowledge Center. The Citi® Secured Mastercard® and Discover it® Secured both require a minimum $200 security deposit but offer different card benefits. People looking to earn rewards with their card won’t find any with the Citi® Secured Mastercard®, but they will with the Discover it® Secured — 2% cash back at gas stations and restaurants on up to $1,000 in combined purchases every quarter, automatically. 1% unlimited cash back on all other purchases. So, if you want to build credit and earn rewards, check out the Discover it® Secured. 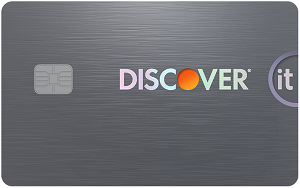 Regarding other card benefits, the Discover it® Secured has a more robust program than the Citi® Secured Mastercard® with no foreign transaction fees and a waived late fee for your first missed payment, among other perks. The Citi® Secured Mastercard® is very basic and doesn’t offer any benefits beyond standard features like identity theft protection. 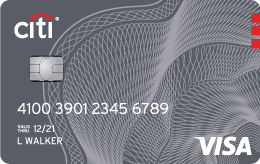 Overall, if you’re looking for a well-rounded secured card, the Discover it® Secured is a great choice, and the Citi® Secured Mastercard® can be an alternative if you want a no-frills card. Rewards None 2% cash back at gas stations and restaurants on up to $1,000 in combined purchases every quarter, automatically. 1% unlimited cash back on all other purchases. Sign Up Bonus N/A Discover will automatically match all the cash back you earn at the end of your first year. 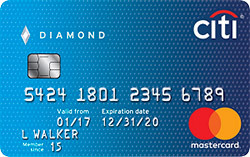 The Citi® Secured Mastercard® is an OK secured credit card. It can provide you with the foundation on which to build your credit, but you can easily find secured cards from other major issuers that provide rewards and other benefits. Who the card is best for If you enjoy wandering the aisles of Costco, looking forward to the days where you can get free samples of food and most importantly — enjoying buying food and supplies in bulk — then the Costco Anywhere Visa® Card by Citi could be the best credit card for you. (45) Over the Past 60 Days!